Below you’ll find an unedited version of a chapter from my new book, Email Marketing Demystified. 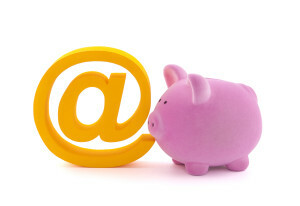 To get your copy of Email Marketing Demystified, visit myemailmarketingbook.com. If you have grown your mailing list to more than 25,000 subscribers, advertisers may be interested in paying you to send an email to your mailing list on their behalf on a cost-per-thousand (CPM) basis. If your mailing list is smaller than 25,000 subscribers, your list may not be large enough to attract interest of advertisers that pay to mail subscriber lists. Let’s say that you have a mailing list of 30,000 subscribers and an advertiser agrees to pay $40.00 CPM to email your list. They would pay you $1,200 to send an email promoting their product or service to your mailing list. Renting your list to advertisers can be very profitable if you have built a large mailing list. The biggest challenge with renting out your list is finding advertisers. Unless you are already established as a reputable mailing list owner with advertisers in your industry or are working with a reputable advertising agency that sells dedicated emails, you may have trouble getting advertisers to know that your list exists and is worth renting. There are disreputable publishers that try to sell mailings to low-quality, stolen or scraped mailing lists, which causes advertisers to primarily want to work with larger publishers that have built a good reputation. If you are just getting started renting out your mailing list, your best bet is to find an advertising agency that works with mailing lists in your industry. You will be able to get a lot more list rental deals done if you can get a reputable agency to endorse and promote your mailing list. While an agency may take a 30%-50% commission on anything they sell, a good agency will make you far more than they cost you. An agency’s sales team will be able to get you in front of advertisers that normally wouldn’t talk to you and will even make deals on your behalf. At MarketBeat, we currently work with a digital advertising agency out of Chicago called Investing Media Solutions. Investing Media Solutions sells newsletter sponsorships and dedicated emails against our mailing list to their advertisers in exchange for a percentage of each sale. They have been able to sell placements in our newsletter to advertisers that we could simply never make deals with directly because they have existing relationships with some of the largest financial advertisers in the country. Investing Media Solutions handles all of the sales and billing work. MarketBeat just has to place the ads and collect checks at the end of each month. We have had a great experience working with a digital advertising agency selling on behalf our list and believe it’s definitely the way to go if you can find a high quality agency. The other option is to virtually pound the pavement and try to find advertisers by approaching them directly. You can identify advertisers to see who is advertising on your competitors’ websites and mailing lists. If you are running Google AdSense ads on your website, you can see which advertisers are frequently showing up on your website and can approach them directly. You will need to put together a media kit which will highlight the size and demographic nature of your audience and will contain a list of various types of advertisements an advertiser can purchase. Approaching advertisers directly can be a lot of work, but may be an effective way to generate list rental deals if you are a natural seller. When you make an agreement with an advertiser to rent your mailing list, there are several steps involved. You and the advertiser will agree to send an email to a specific number of subscribers at a specific date and time. Several days before the email is scheduled to be sent, they will send you a copy of the email they want you to send. You will send a test mailing of the email to the email addresses they provide and will approve the message after they make sure that everything looks right and the links are working properly. On the agreed upon day and time, you will send the email to your list. A few days after the email has been sent, the advertiser will generally request performance information about the send, such as total sends, total deliveries, total opens and total clicks. You should provide that information to them in a timely manner. At the end of the month, you or your advertising agency will invoice them and they will mail you a check 30 days later.